Computers are getting smaller and smaller, meaning that the smallest possible components have to have higher and higher storage capacities. Components that store information magnetically rather than electronically could revolutionise computer technology. Special materials that can be switched between two states – zero and one – are required to achieve this. Chemists at FAU have now developed a metal complex that can be switched from a magnetic to a non-magnetic state and vice versa, and are the first to accomplish this in a solid material at room temperature. The researchers recently published their findings in the journal Angewante Chemie*. Metal complexes are materials that consist of a central metal ion surrounded by several molecules known as ligands. In their attempt to create a new generation of switchable molecules the FAU researchers developed a new spin-crossover complex. Spin-crossover complexes are metal complexes with a special property: the central metal ion’s two spin states have a similar total energy. This means that low energy is sufficient to switch the state of the complex. This phenomenon, known as spin crossover, can be achieved through variations in pressure or temperature, for example. One particularly simple and effective way of changing the spin state is to use light. Exposing the molecule to light of different wave lengths is sufficient to manipulate the spin state – making it magnetic or non-magnetic. Until now, the problem with this method was that it could only be achieved under conditions that are unsuitable for technological applications. The method either required incredibly low temperatures below -220 degrees Celsius or required the substance to be in solution. The Erlangen-based working group led by Dr. Marat Khusniyarov at the Chair of Inorganic and General Chemistry successfully developed an iron(II) complex that can be switched at the molecular level at room temperature. The researchers made this breakthrough by incorporating a special ligand that reacts to UV and visible light. After successfully using light to switch the spin state of the metal complex in solution, they attempted to do the same with the complex in the solid state. During these experiments the working group led by Prof. Dr. Rainer Fink, Professor of Physical Chemistry, used highly intensive X-rays to find out whether the electrical properties of the substance had changed. Together with colleagues at the Elettra research centre in Trieste, Italy, the researchers demonstrated that the spin state was also changed through exposure to light when the metal complex was in the solid state. They also carried out experiments to determine the proportion of molecules in the sample whose state had been switched. The next step will be to develop technologies that enable this new molecular switch to be integrated into optoelectronic components so that it can be used in practical applications. The research was supported by the DFG Research Training Group ‘In-situ microscopy with electrons, X-rays and scanning probes’ which covered the costs of travel to the research centre in Italy. 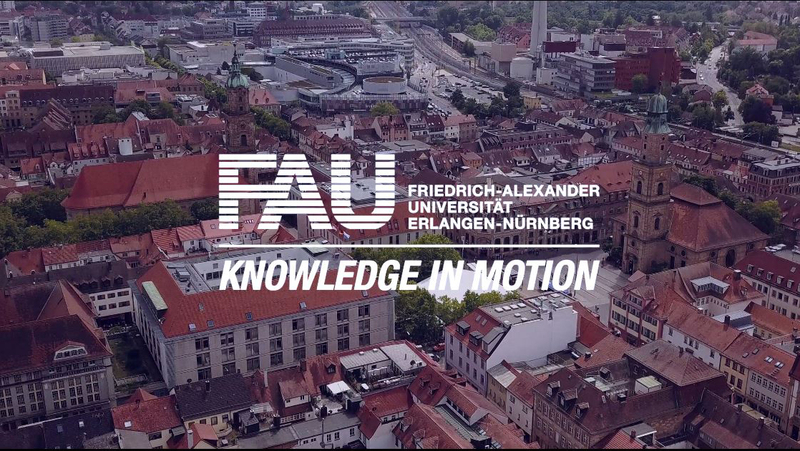 The Research Training Group was established at FAU in 2013.